SRCWA Bunbury LiveLighter Aged Care Games - Seniors Recreation Council of WA Inc. 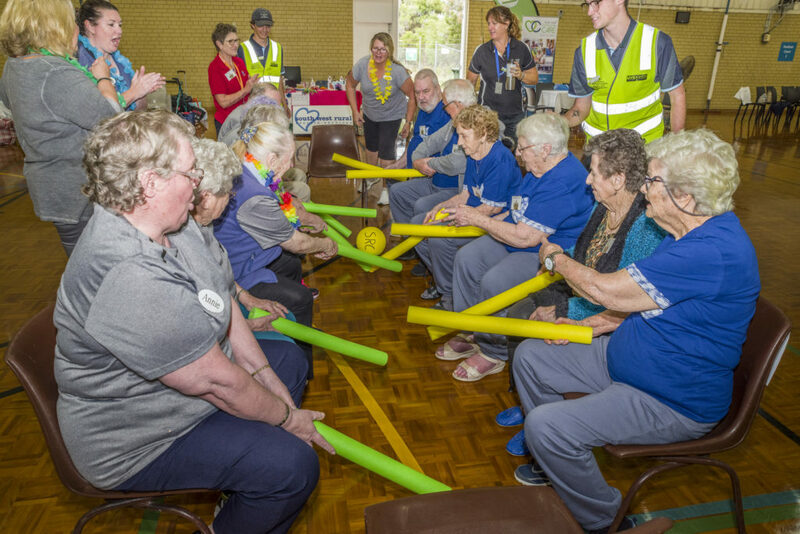 The South West Sports centre came alive once again for the annual SRCWA Bunbury LiveLighter Aged Care Games on April 11th 2019. The atmosphere was electric full of Seniors all dressed in team colours plus carers and supporters, competing and cheering. 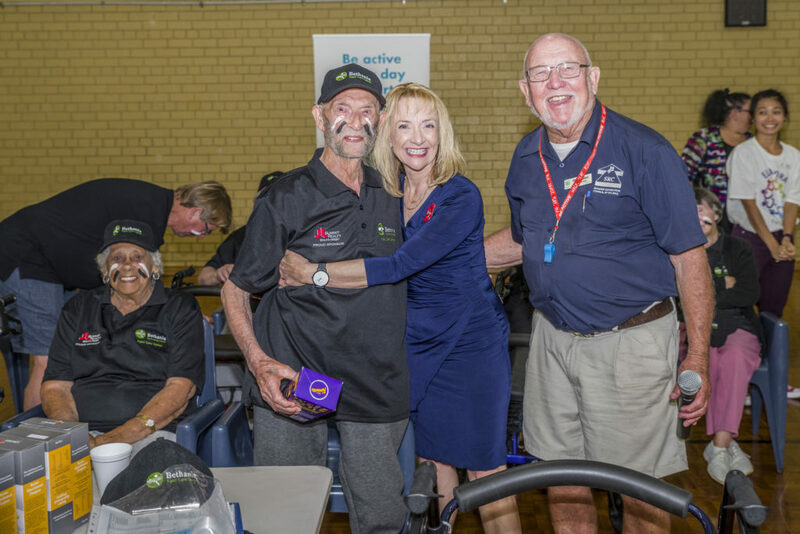 It was a fabulous day with 12 teams competing, the teams came together from Nursing Homes, Aged Care Facilities and Day Centres to compete in games specifically designed for people in care. SRCWA would like to thank Bunbury Branch president Barbara Fleay and her team of dedicated volunteers along with the volunteers and staff from Perth head office for helping to make this event possible. Students from the Bunbury regional TAFE and their instructor volunteered on the day which was greatly appreciated. The games were officially opened by Federal Member for Forrest, Western Australia Ms Nola Marino MP. Our lunch time entertainment was provided by local councillor Betty McCleary who had people moving and shaking to Zumba Gold. The games were played in great spirit and included seated hockey, seated pass ball, beanbag toss and skittles. The carers game at the end of the day had representatives from each team competing in a fun event which was enjoyed by everyone. Best Presented team was awarded to “Community Home Care Collie”, third place “Bethanie Super Force”, second place “Community Home Care Collie” and first place “Community Home Care Donnybrook”. Our oldest competitor was 98 year old Bob Bowlden from the “Bethanie Super Force” team.